Fifa 18: The coolest football! Very, very soon, football fans will go headlong into the new version of the gaming product of the studio Electronic Arts. Fifa 18 game is a super realistic football simulator. She made her presentation face a player who managed to twice become the winner of the leading European club tournament Cristiano Ronaldo of Real Madrid. Real football fans can watch it round the clock, and if you play on a virtual field, then in any form. Naturally, preference is given to high-quality projects with extensive features and beautiful, detailed graphics. FIFA 18, which introduced the unique Real Player Motion technology, is one of such advanced fun. 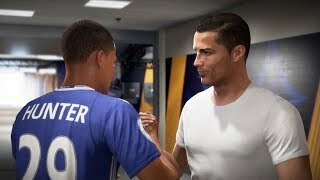 This means that management has become more flexible and pliable, and therefore it will directly affect the movements of Ronaldo and other players who will not differ in any way from real life. One-on-one strokes with the enemy, attacks, passes and other movements can now be made much more accurately. Experienced players will immediately feel this, having appreciated the advantages. Easily recognizable corona attacks, turns, brand movements and filing a football player. The developers made an almost revolutionary breakthrough, and now the way a computer character moves is directly related not only to its internal characteristics, but also to its physical data. Just imagine that the best from the world of football will be available to you, and you can get any of them into the team. Talking about realism, the developers have not forgotten to add color and the stands of fans. Without the people, any game loses its meaning, but usually in such toys, attention was paid to this question indirectly, well, there is something the masses in the background shout, and all right. This time everything will be for real: chants, waves, toilet paper in flight on the field. Banners in the sectors will also appear, moreover, the viewer will find his own face of individuals, cameras will be snatched from the ranks and shown on the big screen. People will move between the rows, run up to the field line. A player can celebrate a successful goal by running to the front rows and falling into the arms of fans. Great, right? 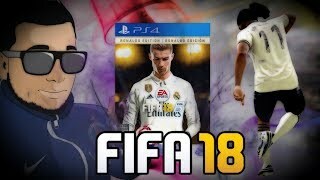 Talking about football can be long, but it is better to download Fifa 18 and enjoy the game. Buy and sell players, hire coaches and other support staff. Work out, take care of the health of the players and the friendly atmosphere within the team. Football is not only a meeting of teams on the field in the fight for the top prize. This is a long and hard work of preparing for the important moment. Grow your own stars and contrast them to famous players. Who knows, it is possible that a talented coach, capable of creating Cristiano Ronaldo with whole armies, slumbers in you. It's time to find out.